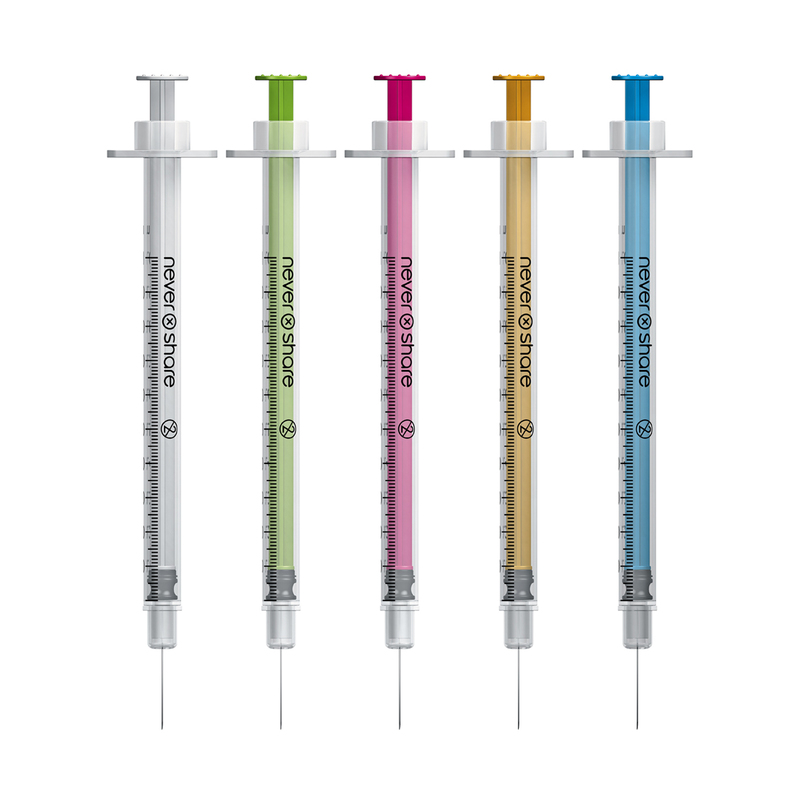 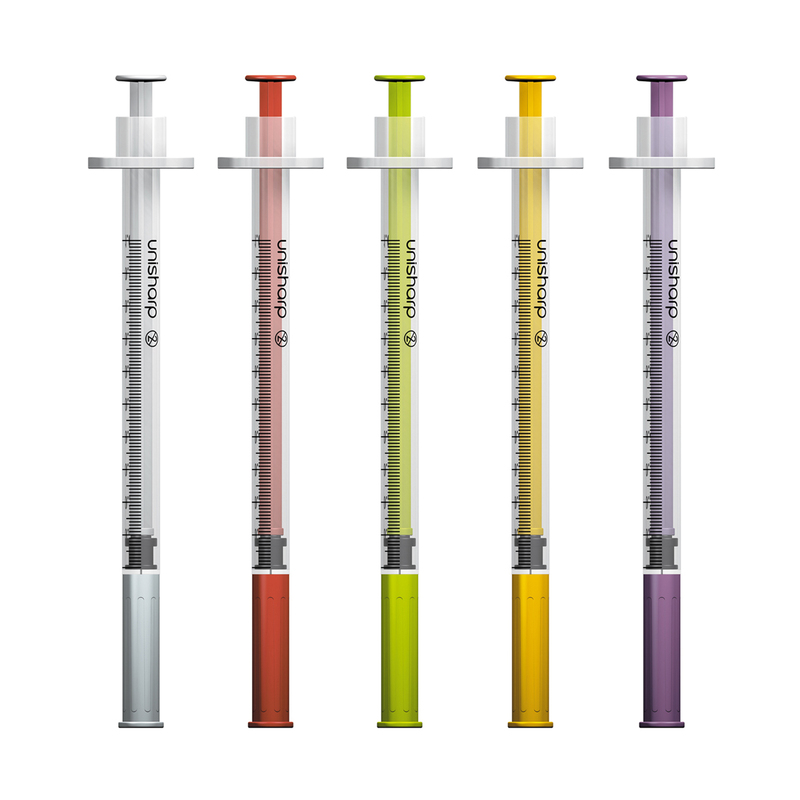 Unisharp 1ml 29G fixed needle syringes, with coloured plungers and needle caps, in equal quantities of each of the five colours. 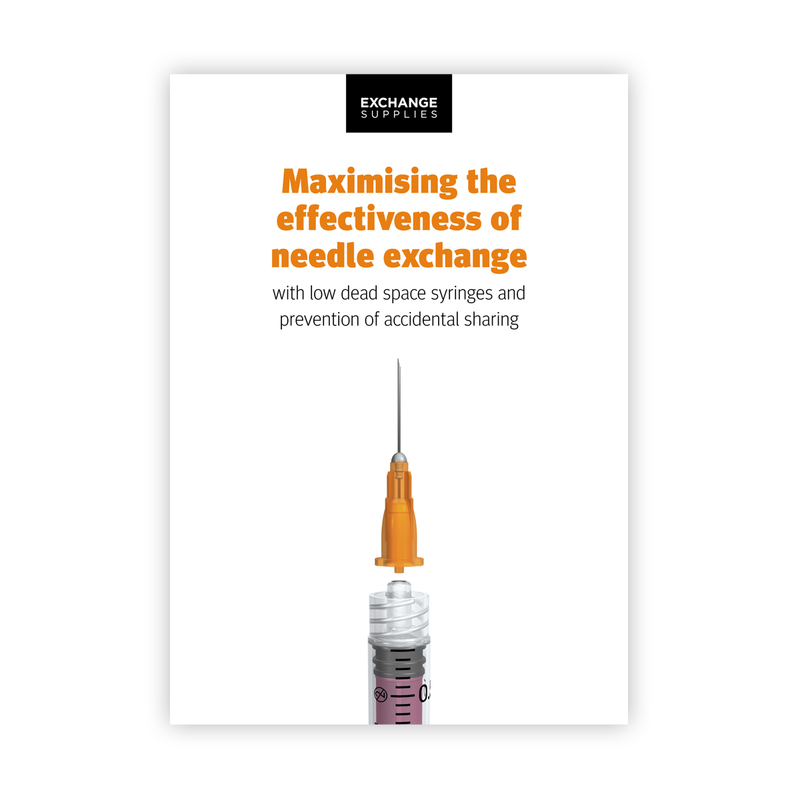 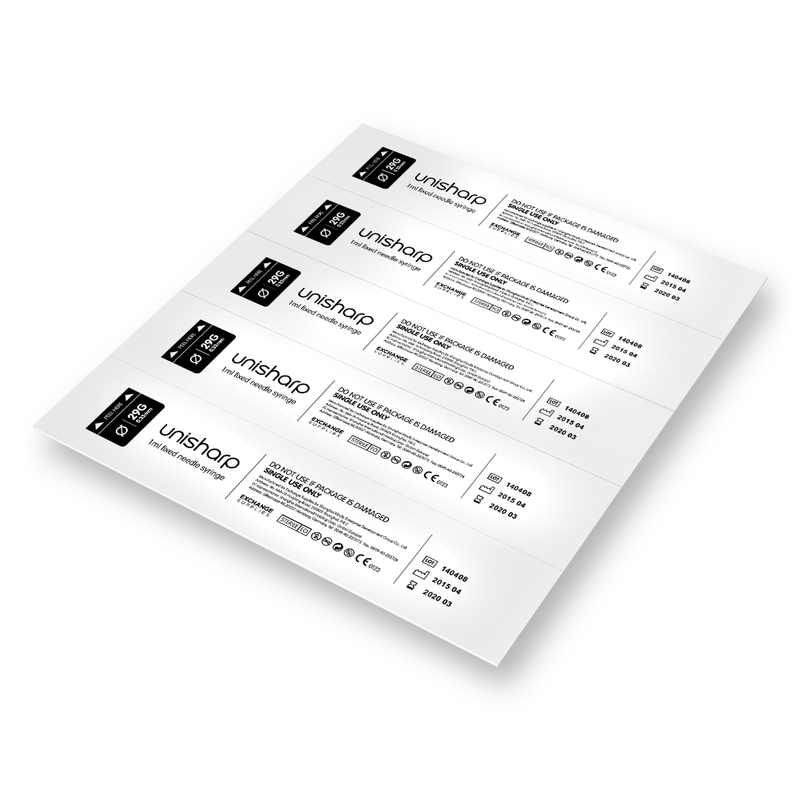 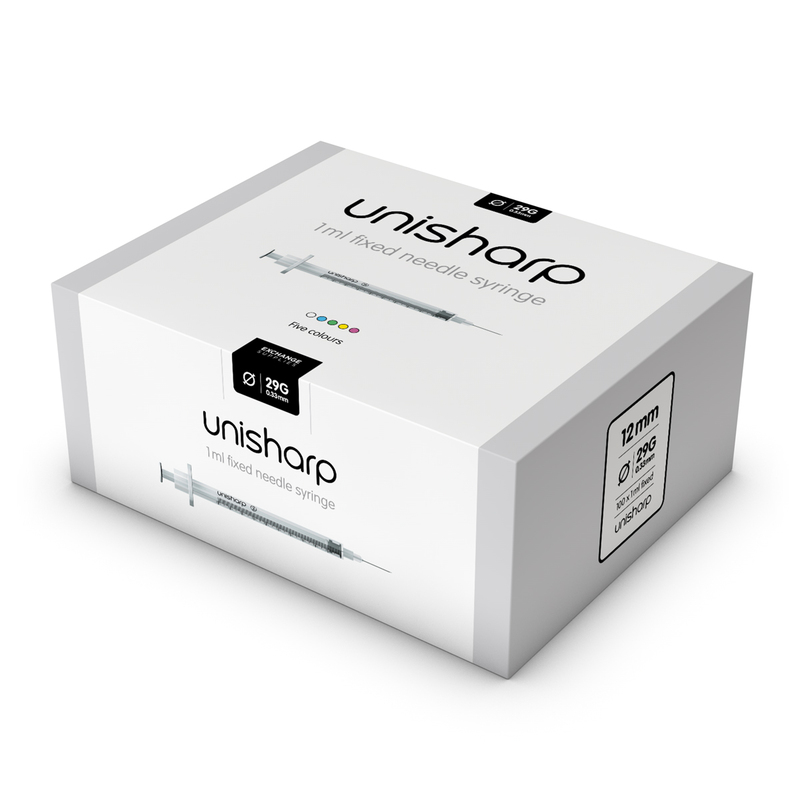 Unisharp 1ml fixed needle syringes are used for injecting water soluble drugs. The 29G needle is slightly thicker and stronger than the 30G needle, and is mainly used for injecting drugs into veins. 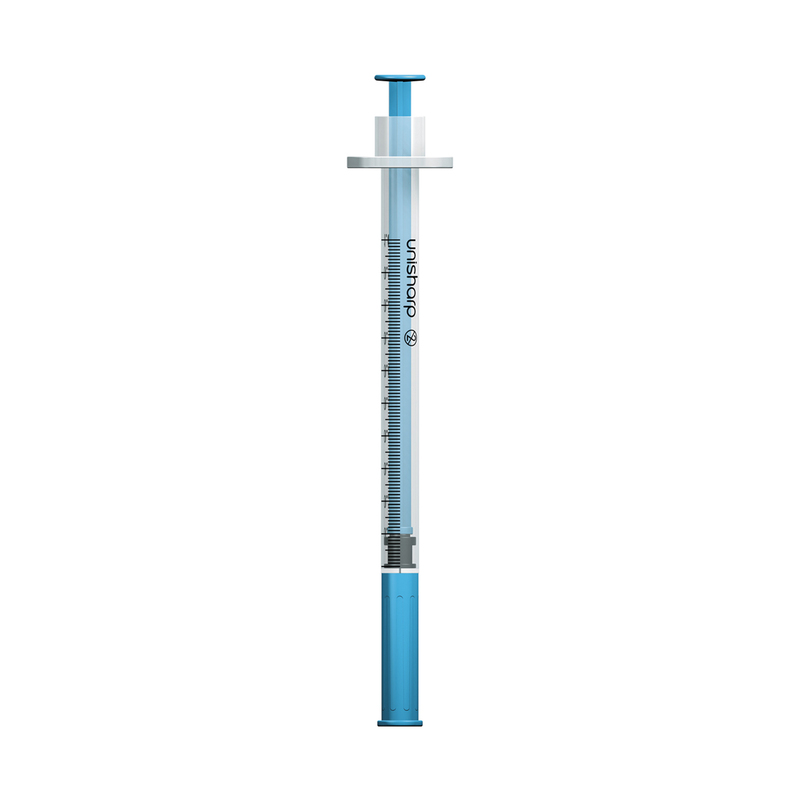 It is a low dead space (LDS) syringe. 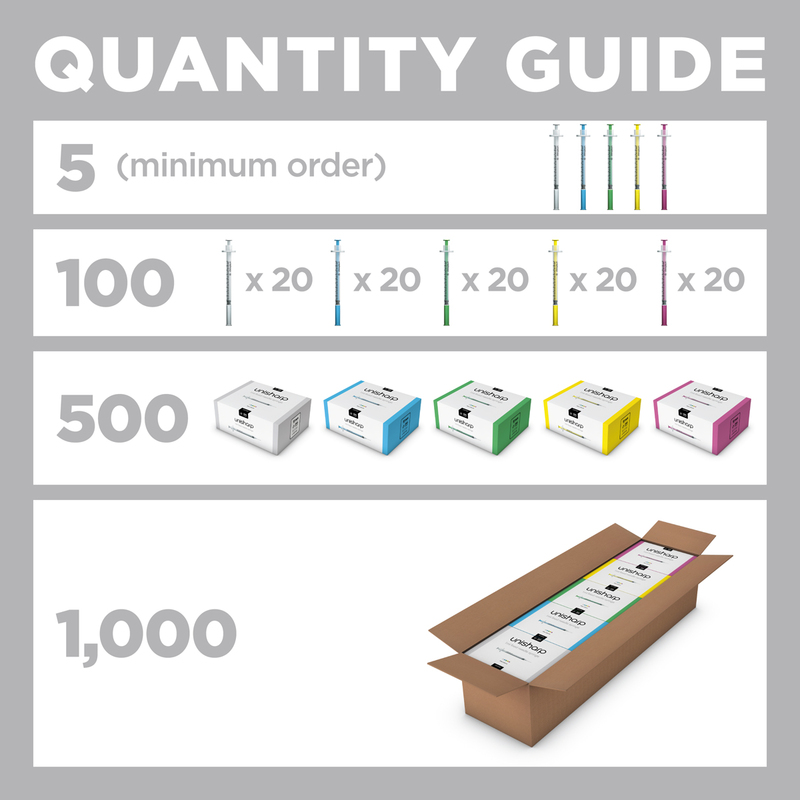 Orders for mixed colours are supplied with equal numbers of each colour. We also sell a full range of separate needles and syringes with all gauges of needle from the 30 gauge 0.5 inch fine yellow needle to the 2 inch 21G long green needle.